The Bobcat is built on a specially-shaped last and features an ergonomic top band for comfort when driving. 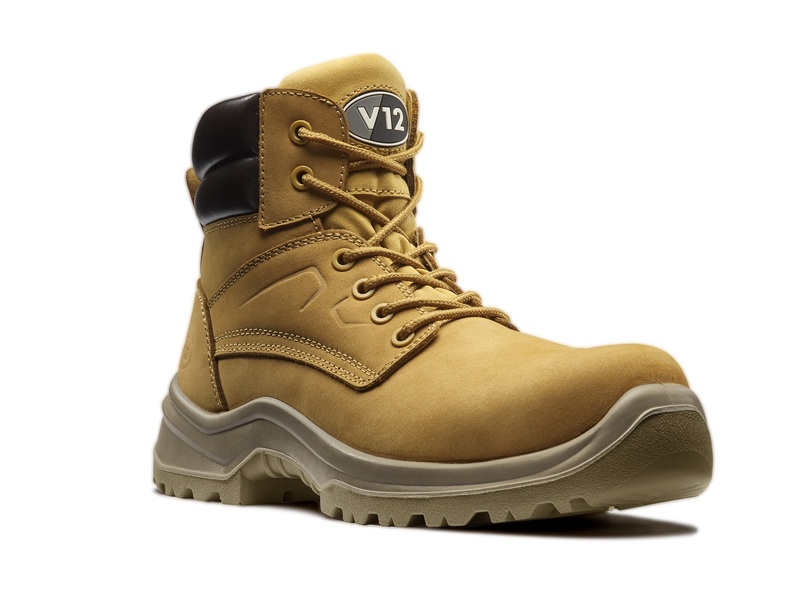 The honey Nubuck upper really makes this product stand out and it has a non-snagging eyelet system for safety. 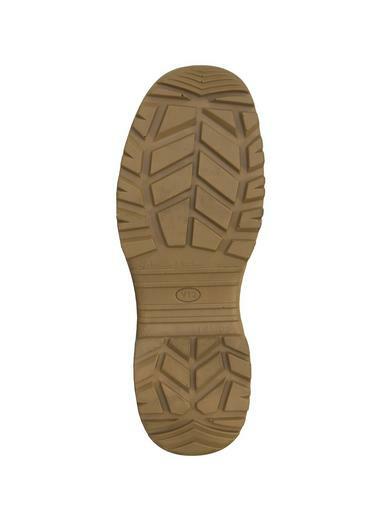 A heel pull tab makes it easy to get on, and an anti-slip heel lining will keep your foot in place. The boot benefits from the Dual Comfort shock absorbing footbed and the new STS rugged sole-working hard so your feet don’t have to. Honey nubuck leather upper - durable and breathable. Bellows tongue and padded ergonomic scoop collar. The dual comfort insole features unique airflow channels to maximise air circulation and reduce heat. With twin antishock foam pods at the heel and the ball of the foot, this insole will provide daylong comfort where you need it most. Flexible corrosion resistant steel, pierce resistant to 1100N. The V12 STS is a revolution in sole design. Inspired by tractor tyre technology and made from highly durable PU, the STS provides high stability and traction on loose surfaces and has ladder grips with firefighter standards of safety. A re-designed heel strike pad and non-clogging channels deliver exceptional water dispersal.